FACT report has found that pirates employ various methods to stay far away from the law. Of course, they want to make a name for themselves and earn some money as well. But is that all they want? 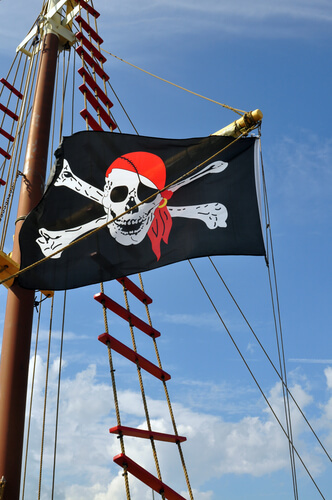 It turns out, pirates aren’t just content with distributing content to millions of online users around the world. And no, they don’t just want to run a super successful piracy website. 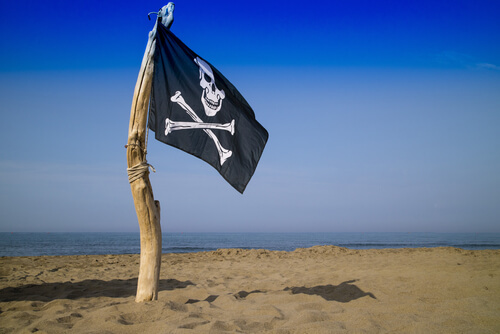 What most of the online pirates want is security. From the law enforcement agencies that are out to get them. Perhaps they should add copyright holder groups to the list as well. Regardless, the point is, pirates want to secure their business interests against law enforcement agencies. And for that to happen, pirates have to learn new techniques to stay ahead of the curve. In other words, they must always be one step ahead of law enforcement authorities. As mentioned before, there are other companies who also want to destroy pirates and their “evil” schemes as well. So pirates also want to protect themselves against their plots too. Dealing with similar issues, a recently published has surfaced and has detailed the role in the online world that social media platforms play in spreading and distributing unlicensed copyrighted content on the internet. Anti-piracy organizations such as FACT have also come out and have revealed the key things online pirates make sure they do on a regular basis in order to avoid legal fines and possibly, if you’re in UK, jail. By that FACt means the things online pirates do in order to hinder law enforcement agencies in their investigations. Pirates also want to thrive. Hence they are always hard at work to fight against the law. Any online pirate who runs a dedicated internet piracy website knows that people would start to come after his/her service once it attracts a set number of users. 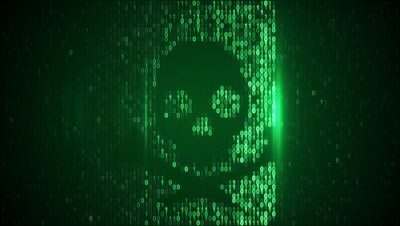 Moreover, piracy websites that deal with fresh content or operate at a mass scale are pretty much guaranteed that law enforcement agencies are going to come knocking on their door. And as mentioned before, pirates can also look forward to other players. Other players such as copyright holder groups along with other anti-piracy outfits such as FACT. All of these players, large or small, quick sniff out big players in the piracy industry. And once they find their trial, they show a rather obscene amount of interest in their online activities. It is their money that the piracy websites are eating into. So it is quite understandable why copyright holder groups along with piracy outfits are so eager to go after piracy websites. Readers should also keep in mind that after all is said and done, pirates too are humans. And that means they too have a brain with billions and billions of neurons. As a result, pirates are always on the lookout for law enforcement agencies coming after them. And since they know that sooner or later, someone is going to want to destroy what they have created, they try to preempt everybody within their own measures. Hence, pirates of today know what they need to do in order to make sure that they enhance their online security enough to keep law enforcement agencies at bay. Some of you might know products such as VPN services. VPN service providers are all the rage these days. Especially after copyright holder groups have knocked down some of the biggest piracy platforms in the world. 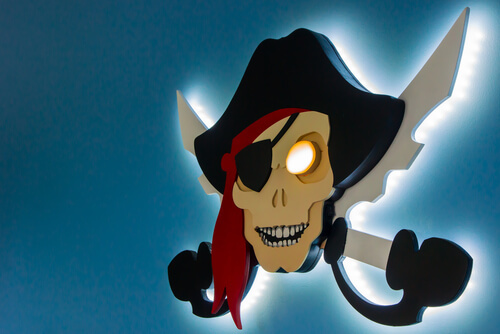 NO online pirate is safe without a VPN service provider. Of course, your actual location and the laws in your region also play a big role in determining whether you get punished or not. But from an overall perspective, most pirates use VPN services in order to hide their location and identity. VPN service providers can do both at very economical rates. So it is no wonder why consumers are so interested in knowing more about VPN service providers. As mentioned earlier as well, recent reports published in the media have detailed the type of challenges social media platforms pose to copyright holder groups as well as pirates. In other words, pirates use social media platforms to infringe on intellectual property rights. Well, depending on your current view, you may or may not agree with the above statement. Regardless, the anti-piracy outfit in the UK by the name of Federation Against Copyright Theft doesn’t care. It wants to get rid of piracy. And to do that it has published a huge list of methods and techniques that pirates all over the world use in order to hinder law enforcement agencies and their investigative works. Let’s start with discussing each one of them until we start to see a pattern. The Federation Against Copyright Theft has said in its report that website registrations, most of the time, are fake. In other words, pirates provide fake information when they register their online portals. That also means pirates are able to hide quite comprehensively from the get-go. Because if the details are fake then law enforcement agencies have very little to connect a website with a person. And since these pirates don’t provide links to the operators of the domain and all its illegal activities, pirates can dodge law enforcement agencies quite easily. But what about WHOIS records? Well, who doesn’t know about WHOIS? It isn’t something that is new. Sometimes, if someone has the right skills, people can uncloak the information that WHOIS has on someone. But usually, it involved a very determined and skilled adversary. Moreover, that adversary has to make use of many court procedures in order to move forward. But these techniques don’t really work in the beginning of any law enforcement agency’s investigations. That’s why they use open records that provide them, or rather can provide them, with useful details. Useful details that can help law enforcement agencies to build a clear early picture about who they are dealing with. From there, they can get a sense of who may operate the website they are looking at. So if a pirate can hide such information in any way possible, then that is a huge plus in staying away from law enforcement agencies. Who is to say pirate site operators aren’t doing that right now? Online pirates can further obfuscate things by faking underlying details. This is very common in the online world of piracy. And guess what, there are companies for it as well. We’re talking about Peter Sunde’s Njalla of course. Companies like these have entered the market and have made it easy for pirates to hide their information. Basically, these companies, make anyone’s (who is willing to pay) registration information go away. Hence, any pirate, even the ones without any technical knowledge, can make use of such services. And stay away from the law. Federation Against Copyright Theft has noted in its report some other mean methods that pirates use to protect themselves. In other words, some pirates use servers which are located in offshore regions. These can cause problems for agencies such as Federation Against Copyright Theft. By that, we mean that agencies like Federation Against Copyright Theft have a hard time investigating offshore servers. Because agency in one country can’t carry out a full investigative report on a server that is located in another country. Hence before any investigative work can start, agencies such as Federation Against Copyright Theft have to partner up with law enforcement agencies that are present in other countries. First, they have to liaise with their counterparts in countries where offshore servers are located. Moreover, it is always more difficult for law enforcement agencies to collect evidence from foreign locations. There is no doubt about the fact that Federation Against Copyright Theft cooperates with overseas entities on a regular basis. But does it really need all the overseas correspondence? History shows, it does not. Because agencies like Federation Against Copyright Theft always keep themselves busy with local problems. In other words, Federation Against Copyright Theft loves to put pirates in the UK behind bars. So it doesn’t get much time for pirates overseas. Copyright infringers in the UK are hence at great risk because of the laws in the country. Federation Against Copyright Theft is also more efficient in the UK than at any other place. And the reason for that is simple enough too. It regularly calls on the UK police to help out in its investigations. Moreover, we also know that Federation Against Copyright Theft employs police officers from the force as well. Of course, this setup has its drawbacks as well. One of those is the fact that even with the help of UK police, Federation Against Copyright Theft can’t go beyond the proper jurisdiction. As mentioned before, it can ask overseas law enforcement agencies to help out. And they can oblige by seizing a given server. First, Federation Against Copyright Theft and the UK police has to do a bit of work. The work of proving to overseas entities that they must do so. In such situations, the police is the key player in convincing foreign law enforcement agencies. As you can probably imagine, this isn’t always easy. Moreover, overseas law enforcement agencies have their own problems to deal with. They don’t want the extra work of some foreign organization asking for help. Hence, they usually reserve their cooperation for more serious criminal cases. It is simple as well. If pirates manage to place their servers some way away from their home country, then they are in good shape. Law enforcement agencies would find it very hard to investigate them. Especially when we are talking about local investigators. Of course, pirates employ other methods as well. Let’s take a look at another one. Federation Against Copyright Theft report talks about torrent sites as well. And perhaps that isn’t a surprise. The report says that torrent website operators try to appease the law by maintaining high DMCA compliance percentage. Then they can leverage that to get away from possible actions against them. All the while, they continue to give away copyright infringing links to millions of online users around the world. No matter which side of the war you are one, methods such as DMCA compliance are at the least, interesting. You see, Europe and the United States of America have laws that are tough for online service providers. In other words, if they ask these providers to remove an infringing content, then they have to. They have to get rid of the problematic stuff from their systems. And they must start the process as soon as an agent or rights holder group notifies them of a file’s existence. What happens if pirates don’t comply? Well, such actions can render these pirates and their websites liable. Of course, one has to prove first that the content in question is indeed infringing on copyrights. What Does Federation Against Copyright Theft Want? From the report, it is clear that Federation Against Copyright Theft knows that pirates comply with DMCA for a reason. If pirates comply with the country’s law and remove infringing content with notice then agencies can’t take action against them easily. In other words, it becomes much harder to investigate them and then take legal action against them. See, pirates comply on one hand and continue to infringe on the other. No one needs an explanation for that. Because it is obvious that pirates use DMCA compliance as a form of protection against law enforcement agencies. Federation Against Copyright Theft didn’t name any websites in the report. But it did say that such tactics hinder the agency’s work. Federation Against Copyright Theft report also mentioned virtual cryptocurrencies. These, according to the agency, have great potential to protect illicit traders along with money launderers. Law enforcement agencies and governments all over the globe have raised legitimate questions about virtual currencies. These virtual currencies enable anyone to take part in financial transactions anonymously. Hence, it results in little or no trial for law enforcement agencies and/or regulators. This isn’t the first time pirates have made use of what technology has to offer to safeguard their interests. in order to shift money from one place to another. However, law enforcement agencies can now trace pirates via these systems. Moreover, pirates also find it hard to deploy these payment systems on their websites. That doesn’t stop pirates from using the old methods either though. Sometimes pirates can and do outdo law enforcement agencies and squeeze some money through the marginal gaps. Bitcoin along with other cryptocurrencies don’t have such problems. And that’s why we are seeing so many piracy websites using these currencies. In fact, cryptocurrencies have become so popular nowadays that Bitcoin is now the default payment system on most piracy websites. Of course, Bitcoin is a bit hard to use as well. But it provides so much protection that we find it hard to believe that someone won’t overcome those accessibility issues. Pirates are an innovative bunch of people. They will definitely solve all the issues to make it easy for them to make/transfer/pay money from and to various sources. Once pirates manage that, cryptocurrencies will become an even greater force than they are now. You can read the Share and Share Alike report by clicking here.